Description: Red, yellow and black. 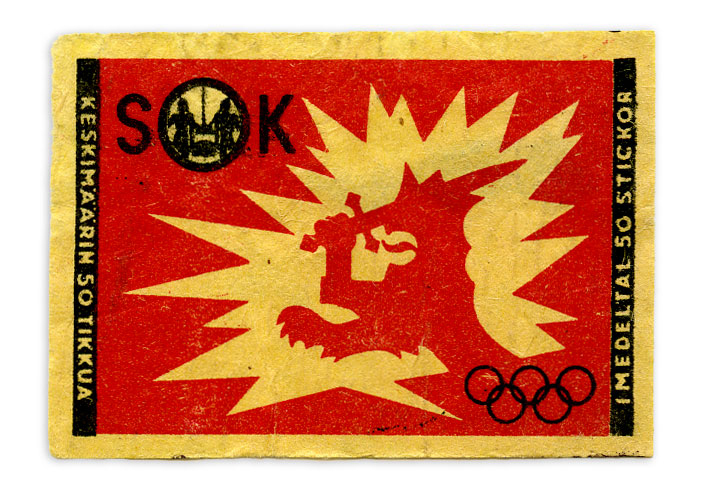 Featuring the Finnish Lion and the Olympic rings. The texts: SOK; KESKIMÄÄRIN 50 TIKKUA; I MEDELTAL 50 STICKOR.